Lightning Fast 3CX Hosting provided by Advanced Certified 3CX Engineers. 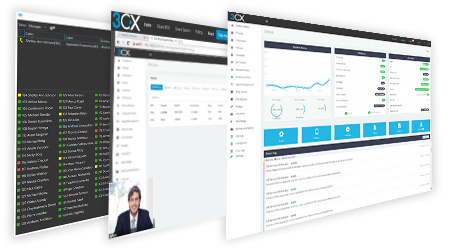 With 3CX, your company can reduce its telecommunications budget by up to 80%, by leveraging SIP Trunks, WebRTC, free calling to remote extensions and offices and reducing the number of rented fixed telephony lines. Adding integration with CRM platforms allows your staff to be efficient when dealing with your clients, having the customer's details appear on screen as the phone rings, rather than just a telephone number. Our Automatic Deployment System has already done 90% of the 3CX Configuration and does not require you to have any System Administration experience or knowledge. The System Automatically Deploys the 3CX Instance Optimized & Secured so all that is left for you is to Configure your 3CX Instance such as SIP Trunks & Outbound Rules & Ring Groups Configuration, etc. 9. Integrates with Office 365, Google, Outlook and More! 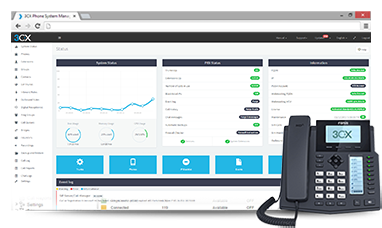 With our Hosted 3CX PBX Service, available in a 4, 8 and 16 simultaneous calls works with SIP standard based IP Phones, to provide a full PBX solution – without the inflated cost and management headaches of an ‘old style’ PBX. Used by more than 30,000 companies globally, The 3CX PBX has been recognized for its innovation and cutting-edge technology.